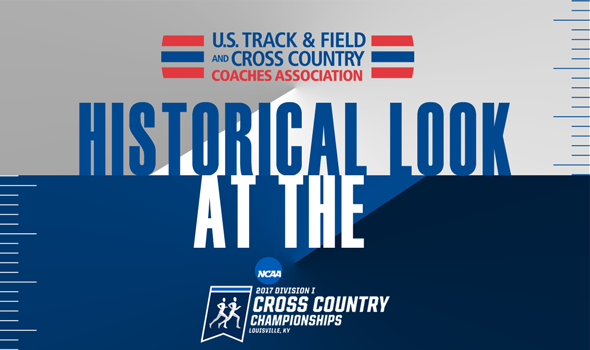 If you’re curious to know the best historical finish by a team that qualified for the 2017 NCAA Division I Cross Country Championships, as well as how many trips it has made in the past, you’re in luck. We combed through the NCAA record books and put together two handy tables, which you can see by scrolling below. Teams are listed alphabetically. NOTE: These statistics are up to date through the 2016 NCAA Division I Cross Country Championships, which were won by the Northern Arizona men and the Oregon women last November in Terre Haute, Indiana. If you include tickets punched to Louisville, Kentucky this year, though, the men’s teams with the most trips to NCAAs — among qualified teams this year — are Arkansas and Colorado. The Razorbacks and Buffs will have each gone to NCAAs 46 times. Michigan State is a close second with 45. The women’s team with the most trips to NCAAs would be NC State with 30. Three other teams are nearing the 30-bid mark, including Arkansas, BYU and Stanford. There are eight men’s teams with multiple national championships in the field, compared to seven women’s teams. Arkansas has won the most men’s team titles with 11, while Villanova leads the women’s charge with nine. Going by the most recent National Coaches’ Polls (MEN | WOMEN), the Furman men, Utah State men and a trio of women’s teams – Eastern Kentucky, Furman and Utah State – have the best chance to improve upon long droughts. The best finish for the Paladin men came back in 1965 when they were 12th and they enter NCAAs ranked seventh. The Colonels, Paladins and double Aggies have all never been to NCAAs, so their best finish would be, by default, their best in program history. All of the action gets underway Saturday at E.P. “Tom” Sawyer Park.